François Chau is a Cambodian-American actor, best known for his role as the voice of Quick Kick in the 1980’s G.I. 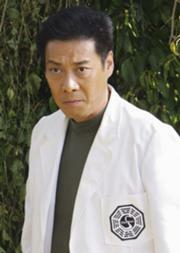 Joe cartoon, as Vagabond in the Wing Commander video games, and more recently, as Dr. Pierre Chang (AKA Marvin Candle/Mark Wickmund/Edgar Hallowax) in Lost. Chau was the suit actor for Shredder in Teenage Mutant Ninja Turtles II: The Secret of the Ooze.